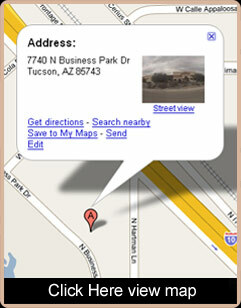 Granite Creations, Inc. - Specializing in marble and granite across the Tucson, Arizona valley. I would you like to know that I �could not� be happier with the counter tops you installed in my home in saddle Brooke. Everything was done �on time� and the men who installed it did an excellent job. They were not only proficient at what they are doing, but are extremely courteous as well. I can not thank you enough for your tremendous assistance in the facilitation and installation of our granite and granite shield. I am extremely satisfied with your professionalism and attention to detail. Josh from granite shield was exceptional as well. I look forward to working with you once more when we got to our dream home in the near future. I wish you well. We recently had granite Creations install new granite counter tops in our kitchen. I wanted to tell you how satisfied we are with the job your company did. The kitchen looks great! Every person in our company that we had dealings with were professional, friendly, and very component. Cathy Strommen was very helpful to me when I was trying to pick out the granite. Her patience is to be commended! No matter what my concern was, she worked it through with me, was very helpful and patient. I’m sure I am tried that now patience now and then! All of the people who came to our house did an excellent job, were friendly, professional, and easy to have in the house. You are to be complimented on your fine organization and the competent people that are a part of it. Thank You so much for the great job your company has done. I arrived home to see my new granite counters early in October. I want to tell you how pleased I am. They are all beautiful, but I especially love the kitchen. It was truly artistically cut to highlight the unique veins of quartz and its individuality. Every time I walk in my kitchen, I delight in its transformation. Thank You so much for your part in it. I suspect I was a difficult customer, but know that I appreciate all the time that you spent with us and the final product. I am writing to thank you and Granite Creations for the hassle-free, trouble free impressive job you did for us. Despite our changing schedule you and the rest of the granite creations team masterfully met our time requirements. Additionally, we are most pleased with the actual installation. All the Granite Creations employees we encountered throughout the process were polite, professional, helpful and very accommodating. In the end we had beautiful new granite countertaps, our walls were undamaged and the kitchen was neat and orderly when the installers left. Our seams are well matched, hardly noticeable, and nicely finished. I must point out that this experience was much appreciated as it varied significantly from an almost identical project just the week before at our other home in Washington state. Both jobs and prices were similar and although the experience in Washington was most satisfactory, the total experience with granite creations was superior at each and every step. I will definitely be giving Granite Creations special consideration when I remodel our bathrooms. Thanks again for an excellent job and experience. Just a short note to let you know my wife and I are very happy with our new granite vanity top. We had shopped at other companies but never experienced the sales attitude you presented to us, you are a professional sales person and we enjoyed having your work with us. Your two installation workers Samuel and Thomas were great and caring installers. They answered all of our questions in a professional manner and did a great job in a timely manner. My wife and I want to say congratulations to you and your coworkers for a job well done and we will continue to recommend you and your company to others. Thank you so much Ivan and Mickey Armstrong Call me at 298-1480 let me know if you got this I an a real amature at the computer. ©2009 Granite Creations, Inc., all rights reserved.